Coach Van Chancellor is arguably the best and most well-known coach ever to be involved in the WNBA, winning four championships in a row with the Houston Comets. 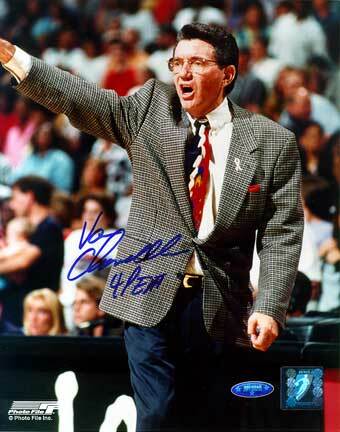 These 8x10 photos have been personally hand signed and inscribed "4-Peat" by Van Chancellor. Each Van Chancellor autographed photo is guaranteed authentic, and includes an individually numbered TRISTAR Authentic hologram. You can verify the authenticity of your autograph by entering your hologram number online at www.tristarauthentic.com.